In 1519 Hernan Cortes conquered Mexico, which was ruled by the Aztecs, and at that time had at least a million subjects, but Cortes had only 500 men and a few horses and cannon. What was his secret weapon? A 17 year old slave girl named Malinche. This site is dedicated to bringing awareness of certainly one of the greatest (and most misunderstood) women in all of history: La Malinche. A girl who fought actual battles alongside professional soldiers (just like Joan of Arc), but more importantly used her wits and great intelligence to help conquer an entire empire! A young girl was born in 1502 named Malinalli (Grass for the day she was born) to an Aztec noble family. When her father died her mother remarried and had a son with her new husband. Her own mother then sold her into slavery because she wanted the boy to inherit the power & wealth of the family. In 1519 Hernan Cortes landed in what is now called Mexico, which was part of the Aztec Empire, and began the conquest of the territory for Spain. In an early battle he was given Malinalli and 19 other slave girls as tribute by the Indians at Tabasco. The Spanish baptized the girls and gave them Christian names. Malinalli was named Marina, to which the Spanish soldiers added Dona, so they called her Dona Marina. She became Cortes’ key to the conquest of the Aztecs and all of Mexico by her intelligence, wit, and charm, translating the various dialects into Spanish and tricking the Aztec Emperor Montezuma into believing Cortes was the returning god Quetzalcoatl or Feathered Serpent. When Malinalli spoke for Cortes, the natives considered them as one person: Malinche and added ‘La’ to distinguish between them. Henceforth the natives called her La Malinche. “Goddess of Grass” by Ed Morawski, is a work of historical fiction detailing the life and times of Malinche. 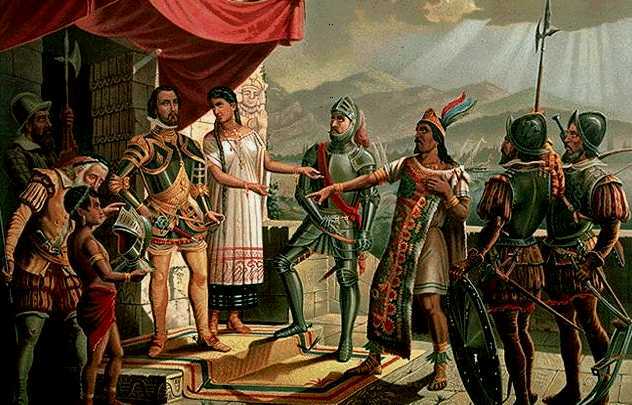 In our research we were dismayed at the amount of incorrect information about Malinche and Cortes. Here on this site we have gathered all the research material for the book and believe that this information represents the true version of those events which changed a country. I lead retreats to Tepoztlan since 1994…this year we plan to go to Malinalco as part of our journey…it is a Goddess Retreat..I need to know more about Malinalli..in a more spiritual way..Any suggestions? Thanks you..
“Malinche’s Conquest” by Anna Lanyon may interest you. The author travels to Mexico and traces Malinalli history. As far as the spiritual aspect Malinalli was an Aztec so we have to assume she followed that religion. Check out the links on the right. The blog of lucypopescu on wordpress.com has an article with photos of the (still existing but hidden) monument to Cortés and Malinche.